MLS# 1327545 - 136 4 Drial Lp, Deming, WA 98244 - Mark Frye — RE/MAX Whatcom County Inc. Furnished ’92 Park Model in the Glen at Maple Falls. Trailer boasts new roof, laminate floors, & baseboard trim. Partially covered newly built deck w/railing & 2 gated entrances. Gazebo w/vaulted cedar ceiling, fan & woodstove. Shed w/double doors & single door w/metal roof. 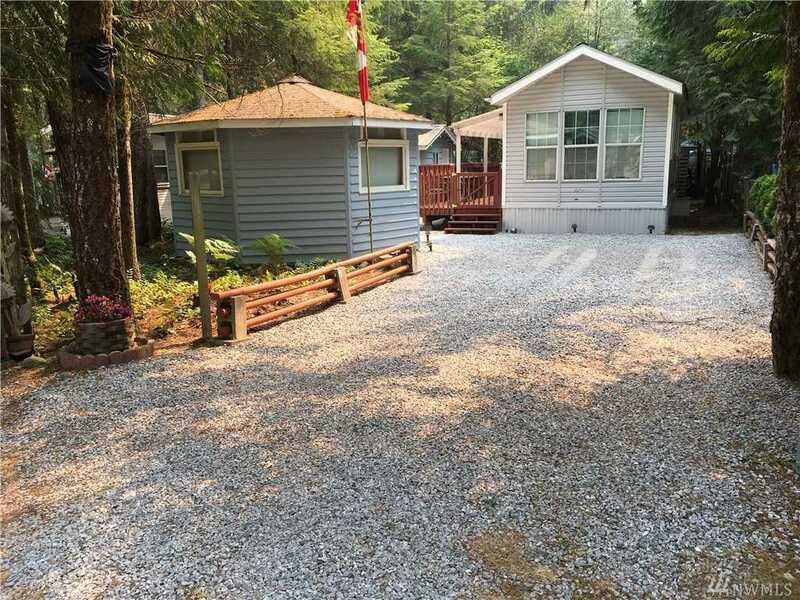 Lot features new gravel, nice landscaping, partially fenced (new fence in back soon-more privacy), firepit area & woodshed. Bright sunny lot close to comfort station. Amenities: pools,playgrounds,booknook,security,&more. Directions: East on Hwy 542 Approximately 25 miles from Bellingham. The Glen is on your right before the town of Maple Falls. Follow signs to Div. 4. Please, send me more information on this property: MLS# 1327545 – $55,900 – 136 4 Drial Lp, Deming, WA 98244. I would like to schedule a private showing for this property: MLS# 1327545 – $55,900 – 136 4 Drial Lp, Deming, WA 98244.